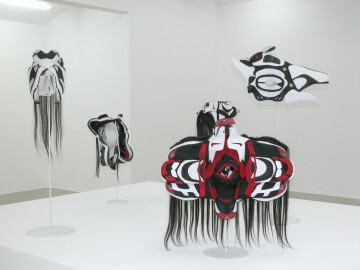 Brian Jungen’s sculptures are among the central artistic contributions to current reformulations of ethnological and cultural evolutionary perspectives. In this respect, Jungen, who belongs to the culture of the Dàne-Zaa Indians (First Nations), does not pursue the reanimation of a marginalized (image) language and symbolism. Instead, his works show culture as a fusion of cultures, so that the belief in an authenticity and a preeminence in terms of both an Indian and a dominant Western tradition is called into question. In addition, his works emphasize the significance of an aesthetic language as a tool for an emancipatory cultural criticism. Jungen attained international recognition with the sculptures Prototype for New Understanding (1998-2003), a series of masks sewn together from disassembled Nike Air Jordan basketball shoes. 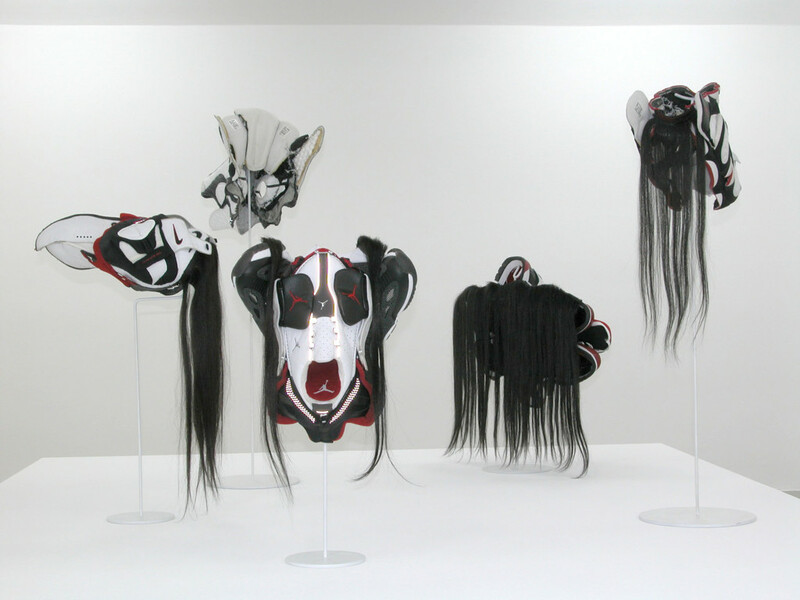 The objects are reminiscent of ceremonial masks of the Dàne-Zaa Indians, like those from ethnological collections. 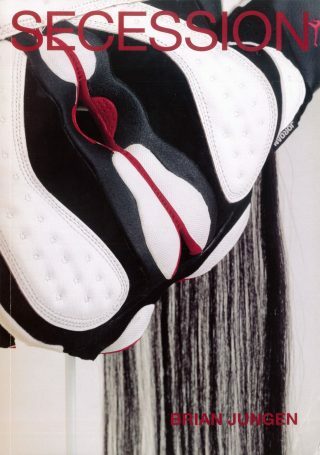 The colors black, white and red of the tennis shoes correspond to the aesthetic codes of the indigenous Northwest Coast art. In rethinking tradition, Jungen challenges what is expected of an (anti-)nostalgic style. 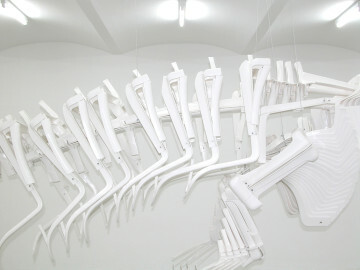 Shapeshifter (2000) and Cetology (2002), whale skeletons seemingly like museum pieces, but built of cheap, white, universally available plastic chairs, emblematically stand for this practice. In their mimicry-like exteriority, they exude the aura of exhibits from a natural history museum and conjoin the motif (whale) with the mythology of an indigenous Northwest Coast people. At the same time, however, Jungen positions his works neither within nor counter to the discourse “ethnology”, but rather discusses hybridity as a condition of cultural history. 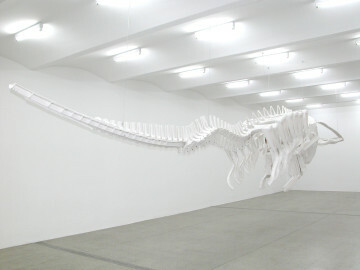 By multiply shifting the context, Jungen directs the viewers’ attention to material and aesthetic “origins”, so that the character of an artefact retreats into the background. Jungen uses commonplace industrial products that are available everywhere as the point of departure for his work. The transformation of the products indicates their inherent double function as objects of everyday use and profitable commodities for the manufacturers. 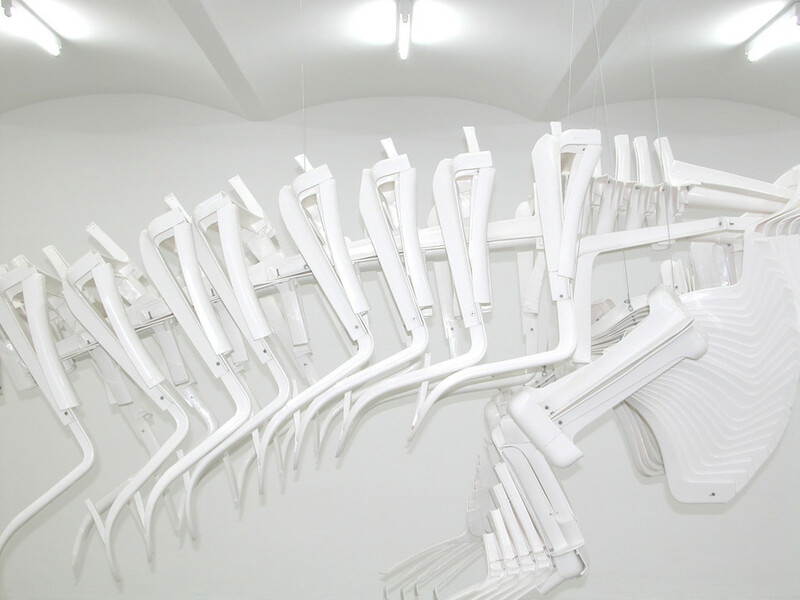 This addresses global capitalism’s practice of functionalizing human labor, aesthetics, raw material: Nike tennis basketball and plastic chairs are primarily manufactured in the poorest countries of the world by low-wage workers. An indication of the global network of everyday objects of use is also found in the work Untitled (2001). The sculpture is made of a stack of ten pallets, which are the same size as the pallets used as for transport. The type of wood that is used, though, indicates that the work has simultaneously been transformed into an aesthetic object reminiscent of Minimal Art of the 1960s: the sculpture is made of red cedar wood. Here the logic is reversed: the work that appears to be almost like an object of utilization is made of a valuable, rare raw material—cedar wood is one of the most expensive types of wood. The exhibition at the Secession, the first major presentation of Brian Jungen’s work in Europe, shows an overview of his oeuvre. 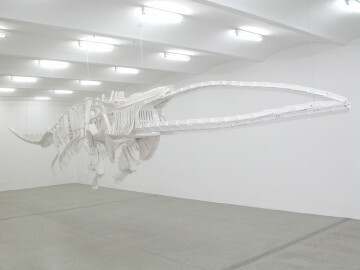 In addition to a selection from the series Prototypes for New Understanding and the sculpture Untitled, a third whale skeleton will be exhibited in the gallery rooms of the Secession, which Jungen has constructed especially for the exhibition at the Secession. 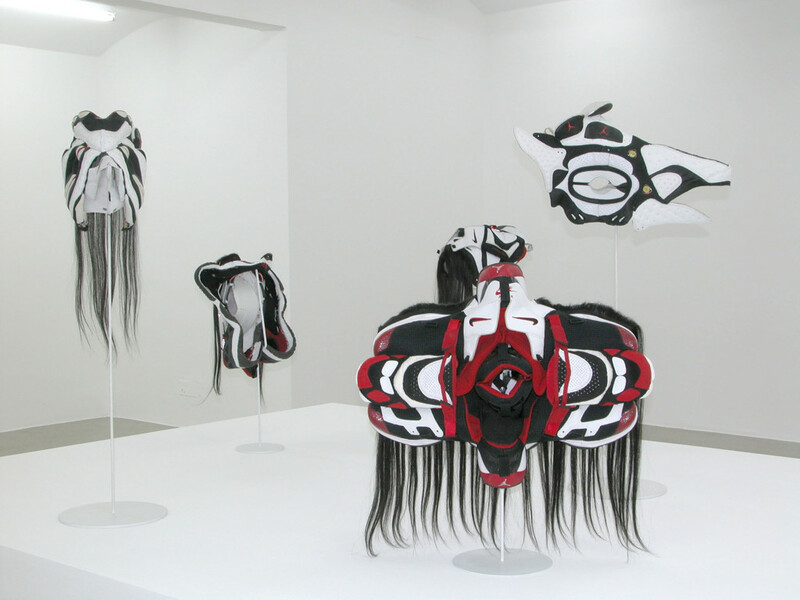 Brian Jungen, born in 1970, lives and works in Vancouver.